They say when it rains, it pours. No such phrase fits a sports organization more than the Pittsburgh Penguins. For the past few seasons, it seems there is always that period of time where players on the Penguin's bench just cannot stay healthy. This season is no exception. As of early afternoon on December 29, it was announced by Head Coach Mike Sullivan that goalie Matt Murray is listed as "week-to-week with a lower body injury." Murray did not return to play the third period versus the Carolina Hurricanes on December 28. When and how the injury was sustained has not been released at this time. 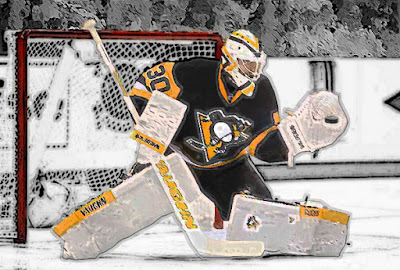 Marc Andre Fleury gladly came in as relief between the pipes and shut down the fast paced 'Canes. The Penguins' are fortunate enough to have a much needed (and newly implemented) bye-week coming up as the calendar flips to a new year. This will allow for a weeks rest and rehabilitation to whatever the injury may be. The team did make it known that the injury will be re-assessed at the end of the break. For now, it seems the Penguins' are in need of a backup goalie and all eyes, once again, are focused on Wilkes-Barre. Tristan Jarry, who played every week during the Penguin's preseason, is boasting some great stats in the AHL. His record is 13-5-1, with a 2.15 goals against average along with a .921 save percentage. Should the call be made, Jarry would be the next man up. I would expect that call to come sooner than later as the Penguins close out the calendar year Saturday, December 31 against the Montreal Canadians.